Over 10 years ago, following domestic pressure and international censure, the Maldives initiated a reform process to transition from a long period of single party rule. In 2008, this led to the first full-fledged democratic elections. This transition to full-fledged democracy was however short-lived and in 2012 the country found itself on the international spotlight as it descended into political chaos in the midst of an alleged coup d’état. Since then democracy in the Maldives has been on hold while human rights defenders and freedoms of assembly, association and expression have increasingly faced severe threats. 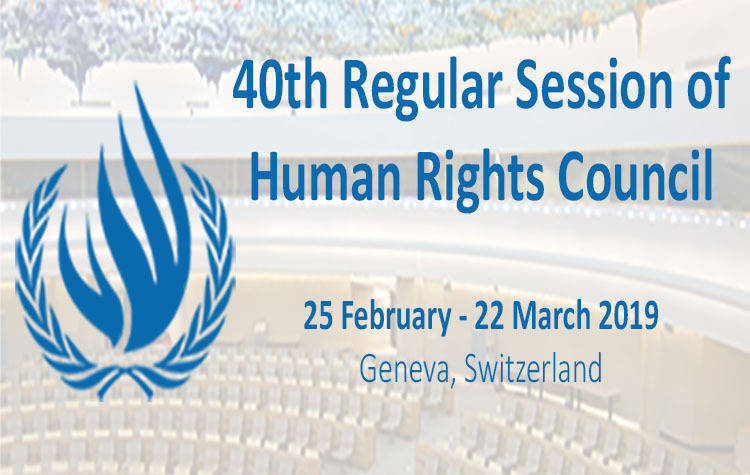 In recent years, the human rights situation in the Maldives has steeply deteriorated as previously unseen levels of corruption, violence and extremism began to surface. Human rights defenders and critics who question the government or non-state actors have faced increasingly brutal attacks. On 23 April 2017, Yameen Rasheed, a prominent human rights defender and blogger was brutally murdered in his home. He had received numerous death threats as a result of his writing, and repeated reports to the police were not responded to. Yameen Rasheed’s murder adds to an increasing number of attacks against those who are critical of the government and rising religious extremism in the country. These include the enforced disappearance of journalist and blogger Ahmed Rilwan Abdulla in August 2014 and murder of reformist religious scholar and Member of the Parliamant Afrasheem Ali in October 2012. Perpetrators of such violence are further emboldened by failure of law enforcement authorities to properly investigate and hold them accountable, and the government narrative that appears to justify such violence on the basis that victims of these attacks have allegedly offended Islam. 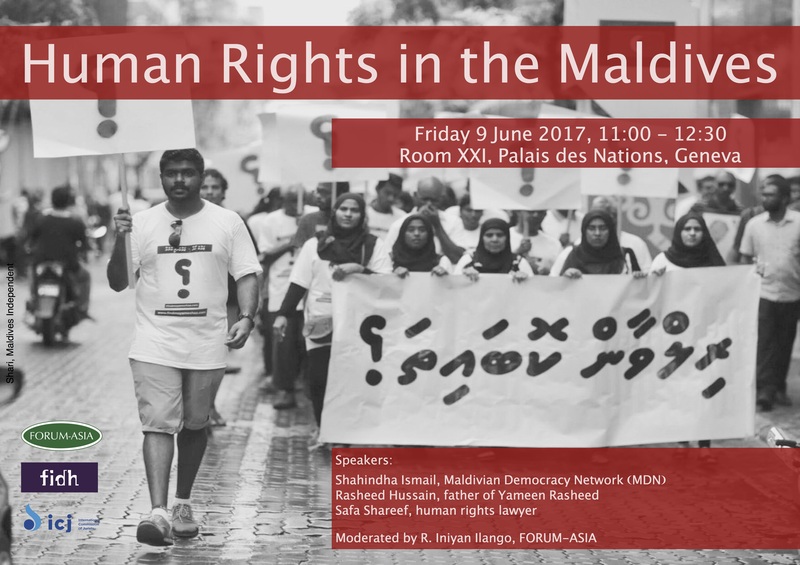 Prominent civil society actors from Maldives will share their views on the situation in the country at the side event.